On my mission for my "Mommy Makeover" I knew I needed a new Hair Dryer. The last one I purchased was one of those blow dryers you get at a good price during the holidays at a discount store. Bad idea! I have to throw my old one in the trash because it sounds like a jet plane when I turn it on and the cord plug part gets hot for as long as it take me to dry my thick hair. No more of that hair dryer nonsense since I have tried the Conair Infiniti Pro Hair Dryer. Not only did I love the color of the dryer I LOVE how normal it sounded. It wasn't blaring loud and I could still think and carry on a conversation while I used it. It is very easy to store since it has a twist and turn handle that made it very compact. I loved that I could fold it up, put it in the carry case and put it away out of view. My older one was huge and always in the way! I liked how lightweight it is and the settings worked great on my hair. It even has a cold blast feature for when you are trying to get a hair style to set after heating it. In the winter I usually blow dry my sons hair on low from afar to keep him from have wet hair before bed and with the Conair Infiniti he could care less that it was on since it was not loud like our last one. It thoroughly dried my hair without cause a bunch of frizz and giving me the "lions mane" as we call it like the older dryer I had. I was very pleased with everything about this hair dryer. Its also "World's 1st twist folding handle AC motor dryer". So cool that it can do that! I also reviewed the Conair You Style 2 in 1 brush. My first reaction was it does what? Then after I opened it and used it I was in love with it! It really made a big difference in straightening my hair as I blow dried it. It has a combination of soft and hard bristles that made it perfect to brush but not make it frizzy. I wish I had one of these when I was kid since I often referred to the hard bristles brush in the house as the "wicked brush". If you have kids who hate their hair brushed but need a hard bristle brush to detangle their hair this combo brush of soft and hard bristles works well without being rough on them. The 2 in 1 part of the brush is how with a slide of a button you can fold it on both sides making it a round brush to give your hair curls and waves. Its so much easier than having to have two brushes to style you hair. I tossed out my old brush and now only use this one for regular brushing and to blow dry my hair. For my Mommy Makeover Conair has generously offered one of our lucky readers the chance to win the Conair Infiniti Pro Hair Dryer and Conair You Style 2 in 1 Brush for your own hair! Follow me on Google Friends Connect (GFC top right corner) and visit Conair and tell me what other product you would love to have. *Limited to US residents; 18 years old and above. Giveaway starts April 6 , 2011 and ends on April 17, 2011 at midnight PST. Winner will be emailed and has 48 hours to respond before another winner is selected. I was not paid for this giveaway or post. I was provided for free the Conair products mentioned in this post for this review. The opinions are 100% mine and may vary from others. Let me just start off by telling you I love your web page..I do Follow you on GFC.I would love The Power of Pink Ladies' Personal Grooming System it a wet/dry razor..my email is nanasbabie@yahoo.com...Thank you.. I'm following you on GFC from the blog hop. I'll have to check out conair and come back and comment. Great site. Love the movie list too. I follow via GFC and I would love to have the Infiniti Nano Steam Straightener. Thanks for the great giveaway! GFC follower as lewalk and I also really like the Mini Line of products. The MiniPRO® You Style 2-in-1 Ceramic Styler would be great for my daughter to take to school on picture days. Follow Conair on Twitter too. this thing has great reviews . I am following you via GFC. I would love to try their Instant Heat Compact Hair Rollers. 1. Following you on twitter. I follow you on GFC and I would like to try the Xtreme Instant Heat™ Multisized Hot Rollers! 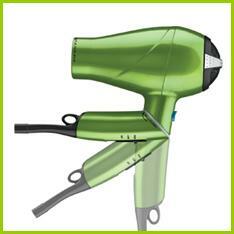 I follow on GFC as carolwegs and I would love to have a conair Infiniti i Series 1 1/2"ceramic straitener in green. love it. Thanks for this great giveaway!! I follow - gfc - emillie. I would love to have the hot rollers too. I am a Friend of your new profile on Facebook "Frugal Family Tree"- emillie rose. I Like Conair on Facebook - emillie rose. I Follow Conair on Twitter - hisprincess886. I'm a gfc follower. I like the Instant heat hot rollers. I follow on gfc and like the Infiniti by Conair® You Wave. I am a gfc follower and I would love one of their ceramic straighteners! I follow on GFC! I would love to have the Pink ¾" Ceramic Straightener! I am a GFC follower as aaron_amanda and I would also LOVE to try the Nano Curling Iron! I didn't know they made flat irons - I'd love the 2" flat iron! I added you as a facebook friend (Marysa N). I follow you with GFC (staciefrost). I'd love to own the Infiniti Steam Straightener by Conair&trade. Thanks so much for entering me! I follow Furgal Family Tree on facebook (Stacie Dennis Frost). Thanks for entering me! The link didn't work for me to follow The Coupon Queen Bee on twitter so I searched it and follow. (@savingmama42) Thanks for entering me! I like Conair on facebook (Stacie Dennis Frost). Thanks for entering me! I follow conair on twitter (@savingmama42). Thanks so much for entering me!